The first line of therapy for metastatic prostate cancer is androgen deprivation therapy (ADT), which suppresses testicular androgens that fuel cancer cells to grow and spread, including gonadal testosterone and intratumoral concentrations of the most potent androgen, dihydrotestosterone (DHT). While ADT is successful early on, cancer cells eventually become resistant and learn to make their own DHT (termed castration-resistant prostate cancer; CRPC). Dr. Sharifi’s lab investigates how CRPC cells make their own androgens, and how blocking these pathways may help treat the disease. Genetic mutations and variations in androgen synthesis machinery. The Sharifi laboratory investigates how genetic anomalies enable cancer cells to evade ADT and produce their own hormones for fuel. The team discovered that a variation in the HSD3B1 gene—called HSD3B1 (1245C)—encodes an enzyme that is effectively hyperactive and plays an important role in this process. Dr. Sharifi has shown that this variant alters response to treatment and could be used as a predictive biomarker when designing treatment regimens. The lab is working to transition this discovery into the clinic by developing a blood test to detect the variant, and also collaborating on a clinical trial to test alternative treatments for prostate cancer patients who have the inherited variant. How genetics affect treatment response. Dr. Sharifi’s team is interested in optimizing treatment regimens for all patient populations. His team found that patients with the HSD3B1 (1245C) variant metabolize abiraterone (a commonly prescribed prostate cancer drug) differently than men without the variant. They produce higher levels of a metabolite that shares a similar molecular structure with androgens, thereby “tricking” androgen receptors into turning on pro-cancer pathways. The lab is working to confirm these results and identify an effective alternative drug for these patients. 1) Elucidation of metabolic and molecular mechanisms of prostate cancer resistance to hormonal therapies. A) We have discovered the first mutation and genetic variant in a steroidogenic enzyme that is responsible for increasing dihydrotestosterone (DHT) synthesis from extragonadal (non-testicular) precursor steroids. This mutation in 3βHSD1 occurs in tumors from patients with CRPC (Chang, K-H, et al. Cell. 2013; 15:1074-85). This missense is also encoded by a very common (20-35% allele frequency) germline variant in the gene HSD3B1. 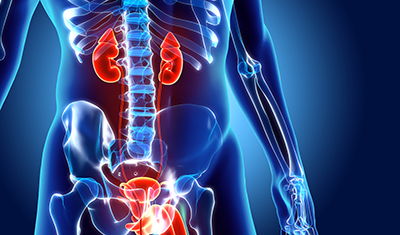 This work was cited in a “Research Watch” in Cancer Discovery and a “Research Highlight” in Nature Reviews Urology. See figure below from this manuscript for a graphical summary. B) We found that the same HSD3B1 genetic variant is a biomarker for treatment response in patients. The HSD3B1 germline variant that encodes for the more active enzyme and drives higher levels of extra-testicular androgen synthesis confers worse outcomes after ADT in patients with advanced prostate cancer. It also confers a tumor vulnerability to blocking extragonadal androgens. 2) Exploiting new mechanisms of existing drugs to improve treatment. Surprisingly, the same HSD3B1 germline variant regulates metabolism of abiraterone (a steroidal drug) to multiple metabolites that we discovered. Some of these metabolites have more potent anti-tumor activity, while others appear to stimulate androgenic pathways. 3) We are also investigating how these mechanisms of steroid metabolism drive other aspects of normal physiology and pathophysiologic processes not previously appreciated. Individuals interested in this work and the possibility of joining the laboratory may inquire by contacting Dr. Sharifi. Li, Z., Alyamani, M., Li, J., Upadhyay, S., Balk, S.P., Taplin, M-E., Auchus, R.J., Sharifi, N. Redirecting abiraterone metabolism to biochemically fine tune prostate cancer anti-androgen therapy. Nature. 2016 May 25;533(7604):547-51. Li, Z., Bishop, A., Alyamani, M., Garcia, J.A., Dreicer, R., Bunch, D., Liu, J., Upadhyay, S.K., Auchus, R.J., Sharifi, N. Conversion of abiraterone to D4A drives antitumor activity in prostate cancer. Nature. 2015 Jul 16;523:347-51. Goodwin, J.F., Kothari, V., Drake, J.M., Zhao, S., Dylgjieri, E., Dean, J.L., Schiewer, M.J., McNair, C., Magee, M.S., Den, R.B., Zhu, Z., Graham, N.A., Vashisht, A.A., Wohlschlegel, J.A., Graeber, T.G., Davicioni, E., Sharifi, N., Witte, O.N., Feng, F.Y., Knudsen, K.E. DNA-PK mediated transcriptional regulation drives tumor progression and metastasis. Cancer Cell. 2015 Jul 13;28(1):97-113. Sharifi, N. Steroid receptors aplenty in prostate cancer. N Engl J Med. 2014 Mar 6;370(10):970-1. Chang, K-H., Li, R., Kuri, B., Lotan, Y., Roehrborn, C.G., Liu, J., Vessella, R., Nelson, P., Kapur, P., Guo, X., Mirzaei, H., Auchus, R.J., Sharifi, N. A gain-of-function mutation in DHT synthesis in CRPC. Cell. 2013 154(5):1074-84. Chang, K-H and Sharifi, N. Prostate cancer – from steroid transformations to clinical translation. Nature Reviews Urology. 2012 Dec;9(12):721-4. Li, R, Evaul, K, Sharma, KK, Chang, K-H, Yoshimoto, J, Liu, J, Auchus, RJ, Sharifi, N. Abiraterone inhibits 3β-hydroxysteroid dehydrogenase: a rationale for increasing drug exposure in CRPC. Clin Cancer Res. 2012 Jul 1;18(13):3571-9. Chang, K-H, Papari-Zareei, Watumull, L, Zhao, YD, Auchus, RJ, Sharifi N. Dihydrotestosterone synthesis bypasses testosterone to drive CRPC. Proc Natl Acad Sci USA. 2011 Aug 16;108(33):13728-33. 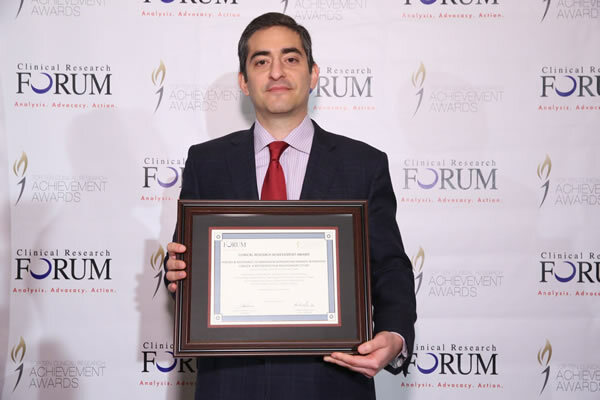 Cleveland Clinic’s Nima Sharifi, MD, was honored with the Prostate Cancer Foundation (PCF) Challenge Award, the second time in four years that he has received the highly competitive grant. The award is given to multi-disciplinary teams searching for innovative solutions to pressing problems in prostate cancer. 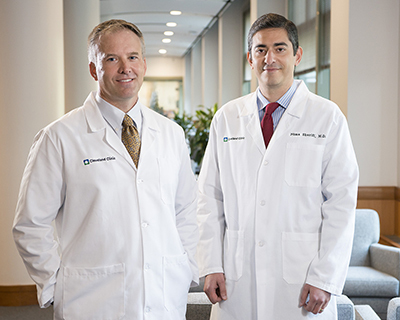 Back-to-back discoveries from Cleveland Clinic have important implications for patients with an inherited form of aggressive prostate cancer. 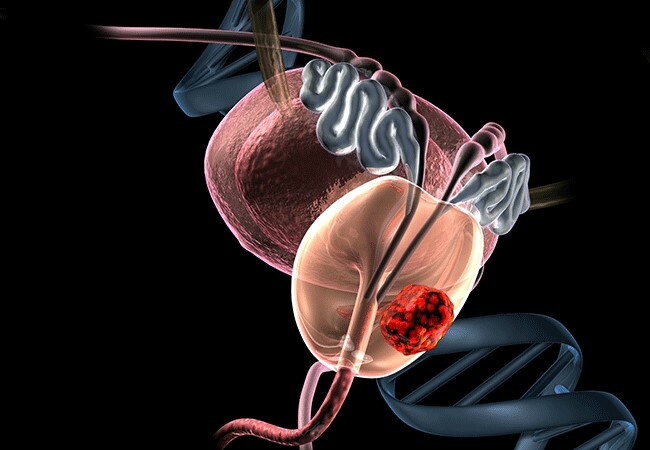 The studies, published in JAMA Oncology, shed light on how a genetic variant related to testosterone production alters patient response to different types of prostate cancer therapies. 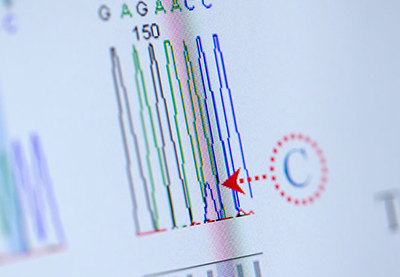 Presence and identification of this variant can help predict how individual patients will respond to different therapies and in turn, help clinicians deliver personalized treatment plans. 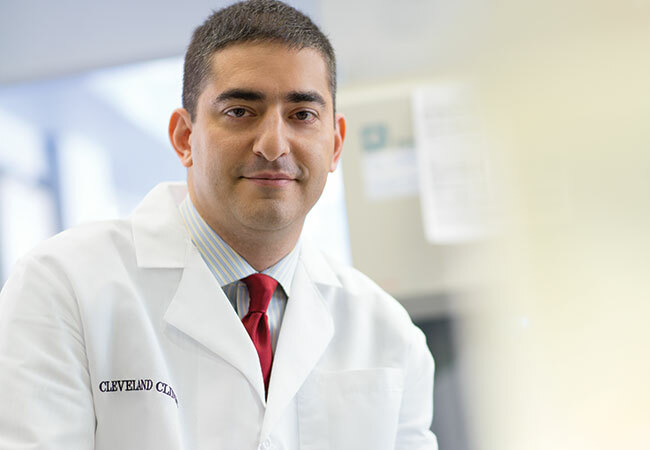 Nima Sharifi, MD, staff, Department of Cancer Biology, Lerner Research Institute, is senior author on both publications. 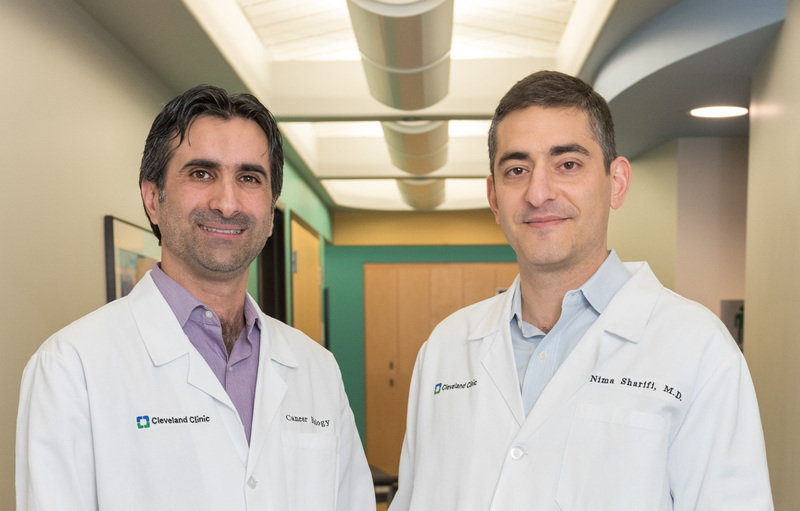 A research team led by Nima Sharifi, MD, Cancer Biology, has uncovered a cause of prostate cancer drug resistance and was able to reverse the resistance in human prostate cancer cells grown in a mouse model. 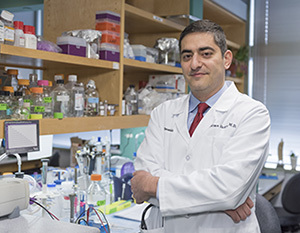 Nima Sharifi, MD, Department of Cancer Biology, was recently named a 2016 Harrington Fellow by University Hospitals’ Harrington Discovery Institute. 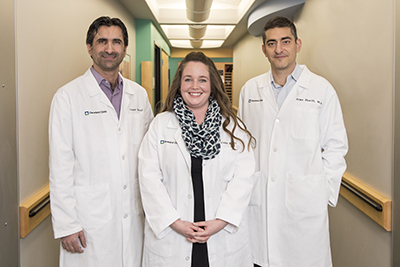 This new award recognizes promising early- to mid-career physician scientists in the Cleveland area and provides them with $75,000 for two years to support their research. Harrington Fellows participate in scientific meetings, grant evaluation and selection of future Harrington Scholars.